Read the names of the wrestlers fighting for Team Alliance, bearing in mind that they were supposed to represent WCW and ECW. There’s only Booker T and Rob Van Dam who were a part of those entities! That’s an indication of what became of the once-promising WWF vs WCW/ECW feud. Early in the Summer of 2001, the WCW invasion of WWF took hold of our collective wrestling minds. The dream feud of all dream feuds, the feud took centre stage of the Invasion PPV. However, by the next PPV, Summerslam, the feud had all but fizzled out. Stone Cold Steve Austin was the leader of the ‘Alliance,’ instead of a WCW wrestler. Most of the WCW wrestlers had been treated like jobbers (see: DDP!). The feud dragged on until Survivor Series 2001. Team WWF vs Team Alliance: Winner Takes All. Fortunately, it was a brilliant match to end the hugely disappointing feud. A whole entire is dedicated to the match, including the pre-match video and entrances. The pre-match video package is worth a watch, even if the original song ‘Control’ by Puddle of Mudd is not present on the WWE Network version. From the wrestlers in the locker rooms, to Vince McMahon’s prep speech to Team WWF, there’s a tangible feeling that this match is IMPORTANT. The McMahons contributed more than anybody else to the diminution of the WWF/WCW feud, but here their presence is necessary (To fill you in: Shane and Stephanie McMahon led Team Alliance, and wanted to wrest power from their father, Vince. There was almost nothing WCW or ECW about Team Alliance. You think of WCW, you think of Goldberg, Sting, even the NWO. The lack of a true big name WCW wrestler involved in the feud was one of many failings). The ten wrestlers in this match wrestle like their careers are actually on the line, and it results in a match that enthrals, even though we all know how it will turn out. Spot the WCW wrestler! Spot the ECW wrestler! The slower wrestlers are eliminated before they can truly clutter up the match. Losing The Big Show, Kane, Shane McMahon and The Undertaker (in the lazy, ego-driven part of his career) relatively early on in the match is a bonus. The Big Show’s exit, after four finishers, is an early highlight. Anytime The Rock, Chris Jericho, RVD, Stone Cold and Kurt Angle (and, to a lesser degree, Booker T) are involved in a match, you can guarantee entertainment. They make the match unpredictable, from surprising eliminations using non-finisher moves, to Jericho and RVD putting on a high-flying show. The only real negative about the match is Jericho’s sloppiness towards the end of the match. He threatens to derail the rapid momentum of the match, until Stone Cold and Angle treat him to some stiff blows. The closing moments of the match are as intense as the closing moments of The Rock/Austin match at WrestleMania X-17, as it comes down to the two of them. Of course, they are both ostensibly WWF wrestlers, but that’s easily forgotten as these two tear it up like only they could. There’s near-falls, big moves and swerve turns before the victory is achieved. Team WWE vs Team Alliance is one of the best matches in Survivor Series’ history. It retroactively gives some substance to the entire WWE/Alliance feud. There’s not a dull moment to be found, even when Kane and The Big Show are wrestling (they actually impress!). And it ends with the rematch we all wanted in 2001: The Rock vs Stone Cold from WM X-17 (I know they had a rematch on the following Raw, but that didn’t really count!). We can lament that the WWF/WCW feud was wasted, but we can only praise the match that ended it. VERDICT: 9/10. Whilst not a true match pitting WWF wrestlers against WCW/ECW wrestlers, this match to end the feud between the WWF and The Alliance is a thrilling, unpredictable (apart from the ending…) joyride, highlighting great talent in the ring and giving us the rematch we all wanted in 2001: The Rock vs Stone Cold! 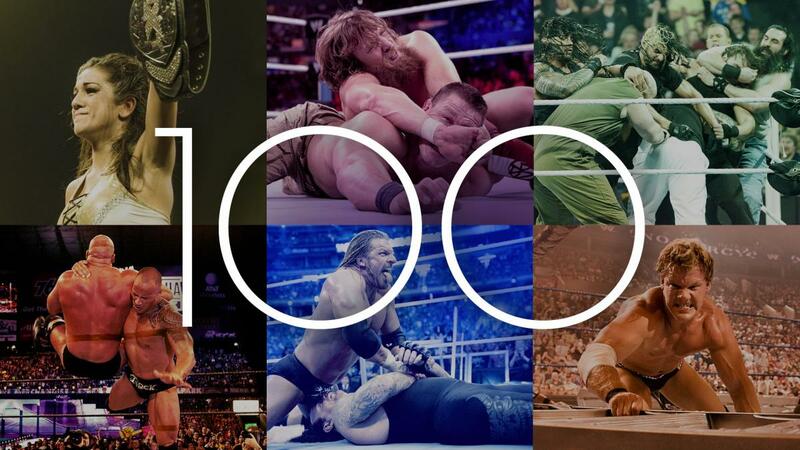 Does this match belong in the WWE Network’s 100 Best Matches To See Before You Die? Leave your comments below!